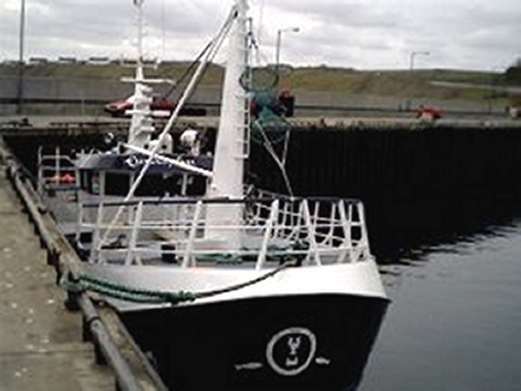 Scrabster Harbour were contacted by mobile phone from the Teignmouth registered fishing vessel ‘Euroclydon’ (TH77) at about 8.15 am on 9 April 2002 after suffering from loss of power due to fuel problems in the Pentland Firth. Thurso lifeboat was launched and took the vessel with 5 persons on board in tow from a position 1m northwest of Dunnet Head and returned to Scrabster at 12 am. The vessel was met by the local auxiliary coastguard from Scrabster who took particulars and passed the details on to Aberdeen Coastguard. Euroclydon at Scrabster after being towed in.